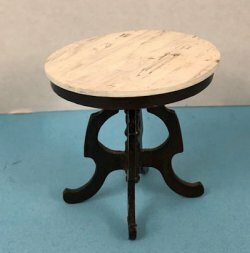 Sweet round table that was handmade but appears to be slightly slanted. You really have to look close to tell but it does. A lot of work went into the table but we have to disclose when things are not perfect.